THE three Pullman coaches that for three decades were a fixture of the Pullman Lodge Hotel on Seaburn seafront are to get a new lease of life in Kent. The three coaches – Padua, Rosalind and Sapphire – were moved from Seaburn on March 11-12 by Moveright International, bound for Barrow Hill for essential renovation work. 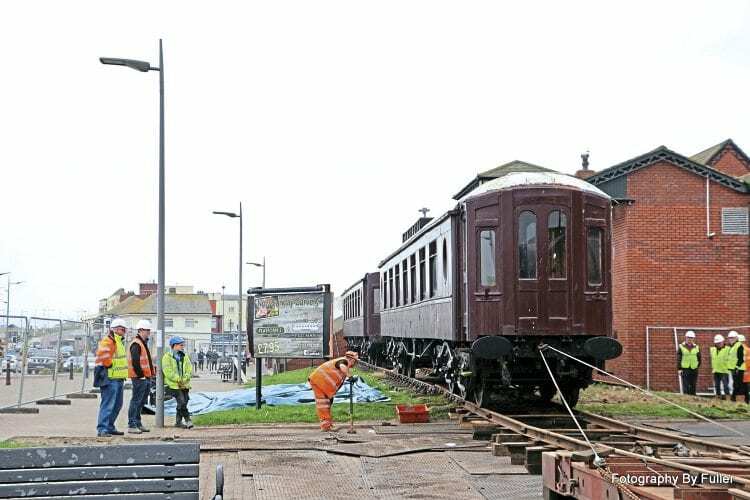 On March 11, all eyes were on the six-wheel bogies of Padua and Rosalind as the first of the coaches turned a wheel after more than 30 years in the sea air, while slowly being winched about a waiting low-loader.